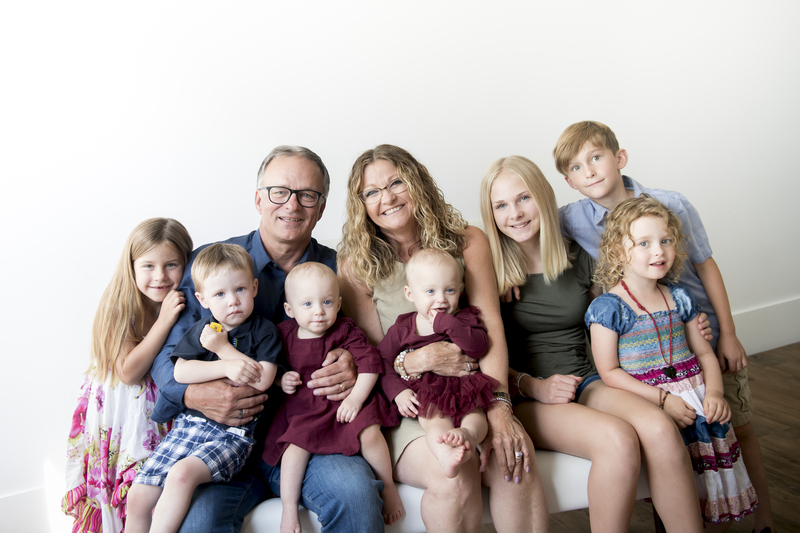 Wayne and Debra Grund are celebrating the good health of their seven grandchildren with an inspiring donation made in the family’s name. The Saskatoon salon owners have gifted $250,000 for a Twin Room in the Neonatal Intensive Care Unit (NICU) at the new Jim Pattison Children’s Hospital. Wayne and Debra Grund and their seven grandchildren. Like most identical twins, Abigail and Grace shared an amniotic sac; but unlike most twins, they also shared an umbilical cord – a case that affects only one per cent of twin pregnancies. With a pregnancy this extraordinary and rare, the girls were placed in the care of obstetricians in Saskatchewan’s Fetal Assessment Unit which cares for the province’s most complicated pregnancies. Born six weeks prematurely, the twins were assessed in the NICU but due to limited space, they were transported to Regina less than 24 hours after birth. The situation put added strain on the twin’s parents, Jackie and Clay, as they needed to leave their two-year-old daughter back in Saskatoon. In Regina, Abigail and Grace spent five days under careful monitoring, followed by another 10 days in Saskatoon’s NICU. Abigail and Grace are now healthy, achieving all milestones, and recently celebrated their first birthday. The family is thankful for the outstanding NICU team who kept their babies in good condition last year, but hopeful that the new children’s hospital will help prevent families from experiencing stressful situations like theirs. 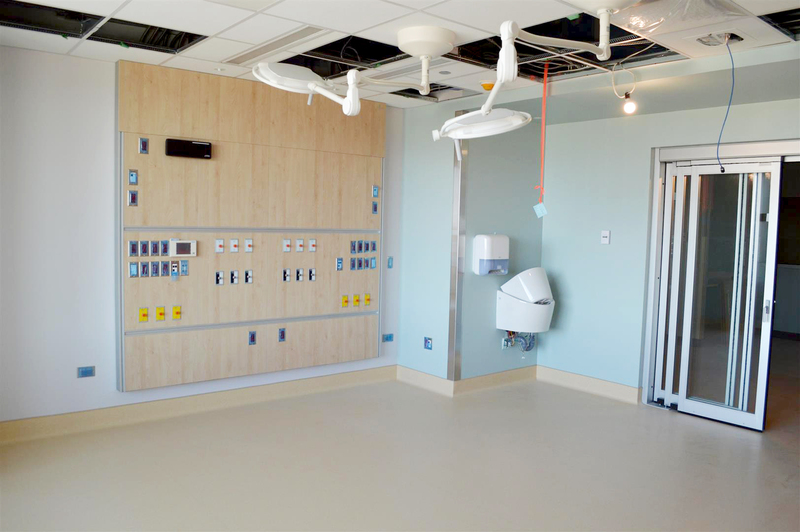 Spanning 365 square feet, NICU Twin Rooms in the new children’s hospital will feature two separate headwalls on opposing sides of the room, allowing families to be in the same room with both babies. This year, the Grunds are celebrating 40 years of business success with family-owned Visions Salons & Spa and Surface Hair. The couple founded Surface Hair as an organic hair and skin care manufacturing company for salon and spas. Wayne is a recipient of the salon industry’s Educator of the Year and Canada’s Governor General Award for outstanding community service. In addition to having his work appear in magazines like Cosmopolitan, Vogue and Chatelaine. Wayne has also appeared on NBC, ABC, CNN, CTV, CBC, and BBC television networks. Set to open late next year, the NICU will be located on the top floor of Saskatchewan’s new Jim Pattison Children’s Hospital. 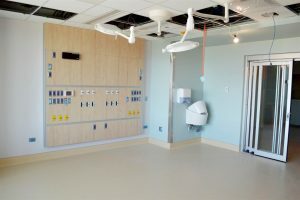 The 48-bed unit with five twin rooms will allow families to be together while their baby receives care, complete with private rooms for parents to be more involved in their baby’s healing process. $61 million has been raised toward a minimum $75 million goal for Jim Pattison Children’s Hospital Foundation’s ‘We Can’t Wait” capital campaign. Construction on Jim Pattison Children’s Hospital is currently at 87 per cent complete.